Come to feel the charm of Transylvania with its medieval towns and stunning landscapes of the Carpathian Mountains. Be prepare for a cold, yet welcoming stay at the Hotel of Ice. Your guide will pick you up to depart north to Sinaia, one of the famous Carpathian Mountains resorts. You will visit here the Peleș Castle and its gardens. 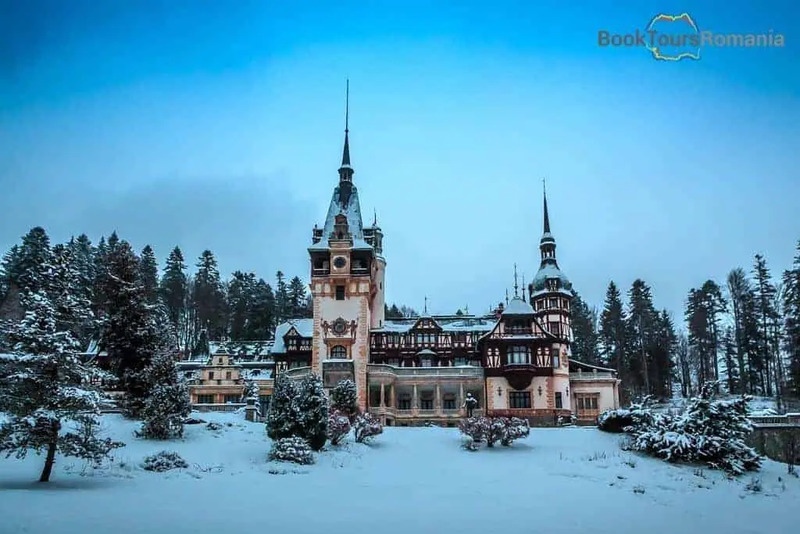 Peleș Castle was built to serve as a summer residence for Charles I, the first king of Romania and today is one of the most visited sights in Romania, a top preference of the foreign travelers. Your tour continues with a scenic drive through the mountains, along the famous Prahova Valley, the most popular mountain resorts region in Romania. 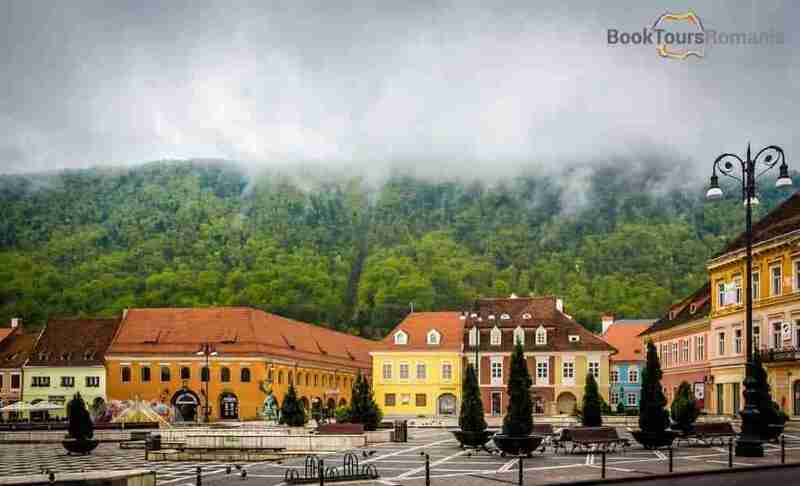 Later, you will go for Brașov to spend the night in this typical old Transylvanian city. After breakfast, your guide will take you for a walking tour of Brașov’s old city. You will get to see the famous landmarks of Brașov, by visiting the Black Church, the largest Gothic church between Istanbul and Vienna, with a bell weighting six tons, the biggest in Romania and an impressive pipe organ with 4000 pipes. The rest of the tour includes the Council Square, Rope Street – one of the narrowest streets in the world, Catherine’s Gate – the only original city gate to have survived from medieval times, the Black Tower, the White Tower and the fortified walls. 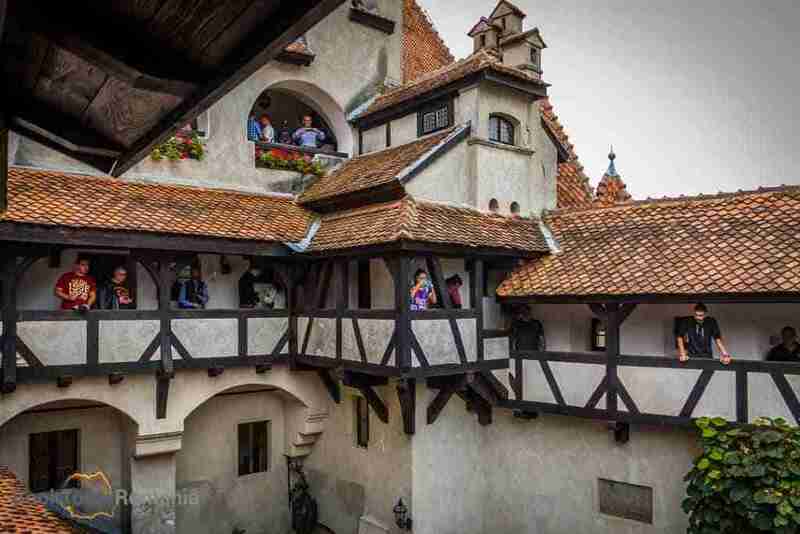 By noon you will leave Brașov to visit, the Bran village, notorious for Bran Castle, also known as the Dracula Castle. To find out the history of the castle and the real story behind Dracula’s myth, you will attend a guided tour of the Bran castle. Later, after a drive along the foothills of the Carpathian Mountains, enjoying the mesmerizing landscape of Transylvania you will arrive to the northern part of the famous Transfăgărășan Road. Soon and just by cable car you will reach over 2000m (~6500ft) altitude and this is the place for a memorable overnight at the Hotel of Ice. The furry and woolen bedclothes and certainly the local brandy will keep you worm in the completely made of ice rooms. You will be accommodated in the Hotel of Ice with breakfast included at the nearby Bâlea Lake Chalet. IMPORTANT! Please, check the rooms availability of the Hotel of Ice here! If the Hotel of Ice is full, accommodation may be available at the nearby chalets. In the morning serve a warm breakfast at the nearby chalet and then enjoy the breathtaking scenery of the surroundings. You can choose from a variety of activities to spend the time until noon: you can go skiing, sliding, rent a ski mobile or just enjoy the snow and the views. Later, on your way to Sibiu you will stop in Cârța village where you can find the preserved ruins of the Cistercian monastery, one of the oldest and most important monuments of early Gothic style in Transylvania. The monastery was founded here around 1206 by King Andrew II of Hungary and was disbanded in 1474 by King Matthias Corvinus. In the evening you reach the charming and full of traditions region nearby Sibiu. Here, in Sibiel village you will be attracted by the fresh air and the natural scenery. Also by the largest museum of icons on glass in Europe, which attracts thousands of tourists who come to see this impressive collection. After you visit this fascinating museum enjoy a delightful home hosted meal in a local guesthouse. Spend the night in Sibiu, one of the most elegant cities in Romania and acknowledged as European Capital of Culture in 2007. You will be accommodated in a 4**** or superior central hotel with breakfast included. After breakfast have a walking tour in Sibiu visiting the main sights of the old city. Discover the stories of the Big and Small Squares. Pass over the Liar’s Bridge, and visit to the Lutheran Cathedral. Learn about the history of Transylvania and see how the city evolved over centuries. Ultimately, In the afternoon you will return to Bucharest driving on the scenic road through the Olt Gorges. You will stop to visit a XIV century monastery erected by the grandfather of Vlad the Impaler. The tour ends in the evening, in Bucharest. Your guide can transfer you to the Bucharest airport or we can book for you an extra night of accommodation. Thus, we will arrange the airport transfer on the next day. A private tour with us means a special focus on your interests and desires, allowing you to travel in comfort. Therefore, our Hotel of Ice tour is very flexible and can be changed according to your availability and requests.